If you asked someone to tell you about the Williamson-Dickie Manufacturing Company, odds are they’d have a hard time coming up with anything to say. But ask them about Dickies and show them that signature blue, red, and yellow horseshoe logo, and people know exactly what kind of quality work apparel you’re talking about. From carpenter jeans to bib overalls to coveralls to work shirts, people go with Dickies every day for quality clothing they can rely on. And they’ve been relying on Dickies for a long time now. For nearly 100 years, Dickies has been the leader in manufacturing quality workwear that delivers on their promise of durability and support. Initially started in 1922 as a small business simply focused on making bib overalls, the company is now the world’s number one manufacturer of work apparel. That early growth was rapid, and Dickies became a world leader right around the time that the world needed America to be a leader. In World War II, millions of soldiers wore uniforms with the Williamson-Dickie label, as the company led the way in the uniform apparel market, both militarily and commercially. The company only continued to expand after the war. Today, Dickies still has a vital role in the American workforce, by remaining committed to making the most innovative work apparel by using the latest technology. Dickies Denim Jeans use features like ravel-proof serged seams and double-stitched seams for strength. Dickies Performance Shirts use moisture management, ventilation, thermo regulation and weather protection, with fabrics that fit great, regulate temperature and stay dryer longer, while eliminating odor. Dickies PRO Workwear uses highly technical state of the art fabric for the professional tradesman, offering extra toughness, functionality and toughness for the rigorous demands of the workforce. 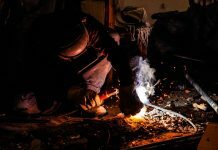 And Dickies Flame Resistant workwear takes advantage of all the latest FR technology to produce clothing that you can feel safe and confident wearing in your hazardous work environment. For everything from coats to scrubs to pants to shirts to underwear and more, Working Person’s Store has an extensive supply of Dickies apparel, such as Khaki Stain Release Twill Work Pants, White Cotton Relaxed Fit Painter Pants, Black Diamond Quilted Nylon Vests, Eisenhower Zip Up Work Jackets, and Cotton Duck Bib Overalls. If you want quality, you want Dickies. 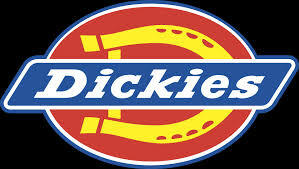 And if you want Dickies at a quality price, you want Working Person’s Store.